Immaculate maintenance free villa home in Tampa Bay Golf and Country Club. This home features 3 bedrooms 2 baths with almost 1400 square feet of open airy living area. Home overlooks scenic views of conservation and greenbelt where wildlife abounds. Enjoy evenings on your patio overlooking the conservation and greenbelt views with your favorite beverage and you might just see a deer or two. Fees include lawn maintenance and painting of exterior of home every 5 to 7 years. Master bath features dual vanity's and oversized shower with seat . Neutral colors throughout make for a bright and airy home. 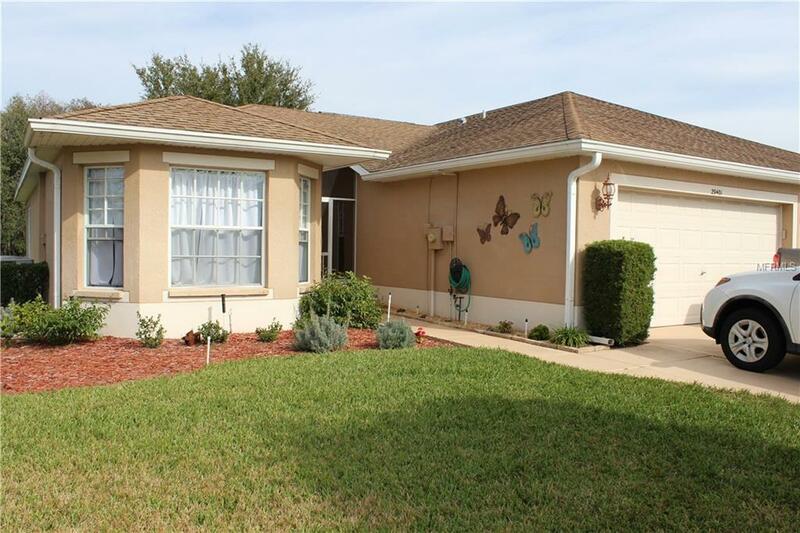 Home comes with upgraded laminated floors in all living areas and New Tile in all wet areas and bedrooms, New Dishwasher 2018 , new garage door opener 2018, new interior paint 2018, all upgraded light fixtures and fans, guest bath was completely remodeled in 2018 Tampa Bay Golf and Country Club is an over 55 gated community with many amenities. The clubhouse is over 15,000 square feet with a full work out facility, library, ballroom, complete restaurant and lounge , computers for resident use, and one of two pools. Second clubhouse is used for card groups, sewing groups, dance lessons, painting lessons and so much more. The community also features an 18 hole championship golf course and a 9 hole executive course. There are 2 dog parks, tennis courts and shuffleboard. Furnishings are all available if buyer is interested.